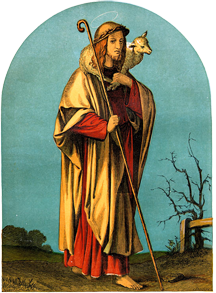 The Good Shepherd was well-known for His willingness to go out in search of the lost sheep. He left the 99 and sought the one sheep that was lost. Yet, we are not really ever lost. Rather, as disciples of the Good Shepherd, we recognize that sometimes the lost sheep leave the flock in search of something…and that something is often a relationship with God. Our modem Church will succeed in the ongoing New Evangelization effort only if we seek out the lost in our midst. At Holy Name Parish in Washington, D.C., we set out to carry out this mission in a personal way. We mapped out our parish boundaries, obtained a listing of about 1300 households located within our parish boundaries, and sent out letters inviting all our neighbors (Catholics, fallen away Catholics, Christians, non-believers and people of all faiths) to come and join us in praise and thanksgiving. We invited the strangers in our midst. But we did not stop at mailing invitations. My first Sunday here at Holy Name Parish, we had 103 people attend our four Masses. Recently, we had 230 people attend the Sunday Masses. We grow in numbers precisely because the broad community of believers have had an opportunity to meet the seminarians we sent knocking on doors for six weeks. We wanted to reach out to our neighbors in a personal way. The seminarians talked, told stories, laughed with our neighbors, and, in doing so, brought the Good News of Jesus Christ to them. We gave out postcards with our parish information including basics such as our Mass Schedule, address & phone number. 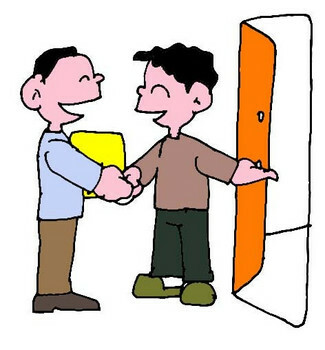 Sending seminarians to knock on doors all throughout our community helped to establish new relationships and to renew our ongoing relationships with fallen away Catholics, new neighbors, and our parishioners and their families. As we have met new parishioners, we have discovered the presence of fallen away Catholics and Catholics new to our parish. I have been asked to come and visit homes and bless the homes and the families living here. The new parishioners have brought their children to be baptized and to prepare for Holy Communion. As pastor, my relationship with our parishioners is one of availability and a welcome spirit. Whatever a parish priest does, he needs to be genuine, encouraging and trustworthy in his relationships with parishioners and the local community. I think a parish priest brings the love of the Sacred Heart of Jesus into his relationships with people. This is why we are here and that is what our parishioners look for in their relationship with their parish priests. Evangelization requires a human relationship. Strategies, game plans, objectives and goals often look good on paper and logically make sense. But bringing home the lost sheep requires us to reach out to the lost and to establish a relationship with them, listen to them and invite and encourage them to come home to Church. The Lord waits for us and all we need do is invite others to join us in worship. Evangelization requires a relationship between the local priests, ministers and laity. All of us are in this together as people of God, people granted the gift of faith and people whose hearts are on fire with the love of Jesus Christ. Others will know we are Christians by our love. As we evangelize, may we realize and work on establishing brand new relationships with the lost, the poor, the disenfranchised, and those who live among us. Growing the Church requires us to reach out to the sheep in our midst. May we bring them closer to our Lord, the Good Shepherd Jesus Christ. Fr. 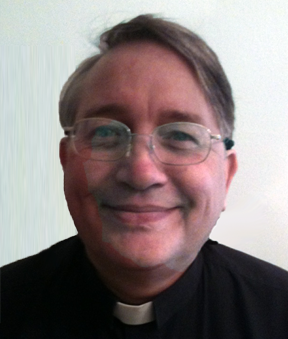 Michael Briese completed his theological studies at Blessed John XXIII National Seminary in Weston, Massachusetts, and was ordained in 2009 for the Archdiocese of Washington. He now serves as pastor at Holy Name Parish in Washington DC.